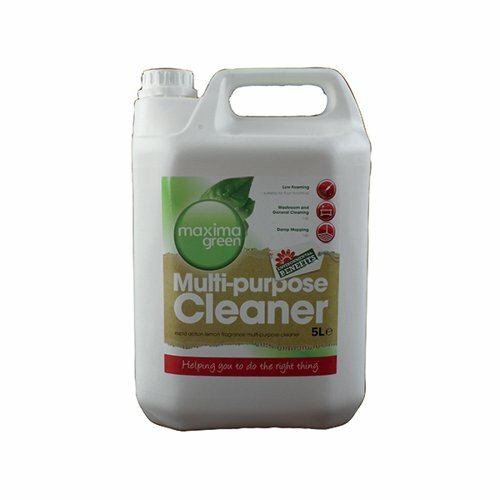 Maxima Multi-Purpose Cleaner has a zesty lemon fragrance that will leave all water-washable surfaces smelling and looking fresh. This 5 Litre multi-purpose liquid cleaner is fast-acting and kills all germs to leave surfaces clean and hygienic around the home or office. The concentrated cleaner doesn't create foam, making it perfect for use as a floor cleaner, as well as useful for worktops and other surfaces.